March 14 – International Speech & Evaluation Competition! 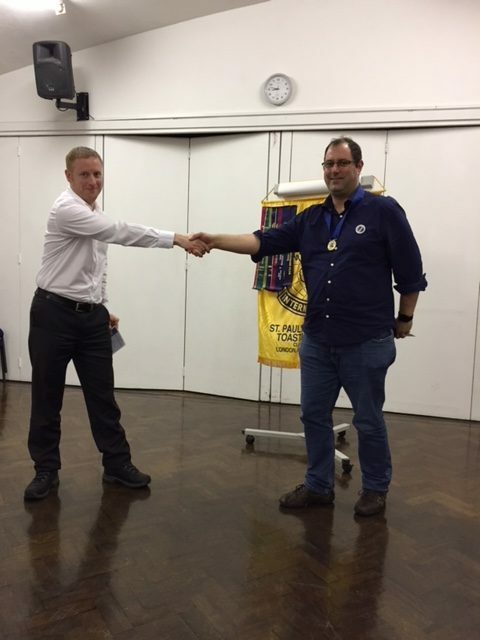 March 14th was a meeting unlike most… with a speech & evaluation competition! This last week we shifted gears. In place of our regular meeting format of speeches and table topics, we had an energetic and competitive round of speeches and evaluations. In the end, we had 4 entries for the speech competition and 6 entries for the speech evaluation contest! President Christopher Walker introduced the meeting. John Wooller acted as the Competition Chairperson for the International Speech Contest. Rakesh Patel acted as the Competition Chairperson for the Evaluation Contest. In total, we were happy to host over 10 guests, in addition to more than 20 regular members! Afterwards, judges voted and we moved to the evaluation contest. The evaluation competition featured a speech by a mystery speaker from another club. Similar to the speech competition, we had evaluations from 6 club members: Sarah Hawkins, Giovanni Giardina, Lewis Kyriacou, Michelle Manuel, McVal Osborne, and Anthony Grice. All contestants listened to the same speech and were given five minutes to prepare their notes on how best to approach the evaluation. In the end, anonymous judges weighed in to decide the victors. Chief Judge Florian Bay announced the winners of first and second place for speeches and first, second and third for evaluations. Judges only gave awards to first and second place participants. In the end, judges named Alexander Dziri best speaker for the club level of the international speech competition. Judges awarded McVal Osborne second place. 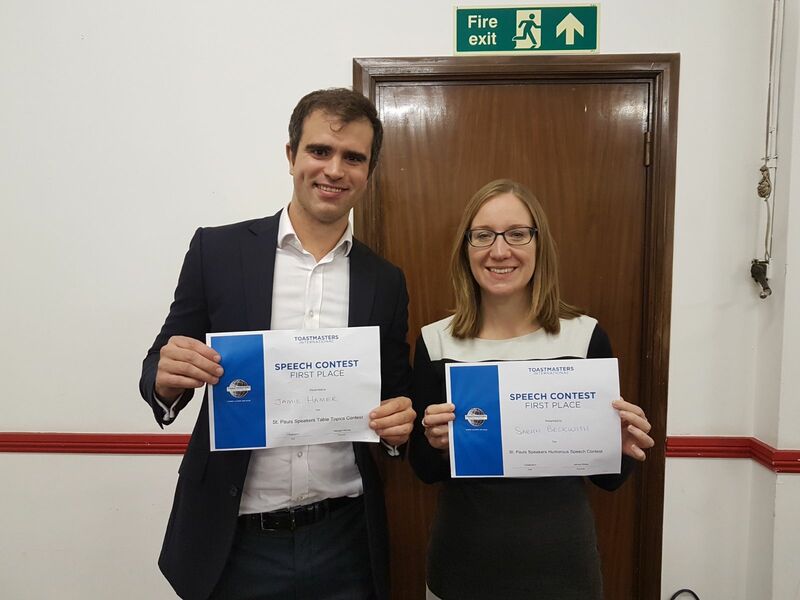 After careful consideration, judges voted Lewis Kyriacou best evaluator for the evaluation competition and awarded Sarah Hawkins second place. In conclusion, well done to both winners, and to all those who attended and took part!! January 31st was a “Special Event” meeting! Because it was the fifth Wednesday of the month, our last meeting was a highly educational. 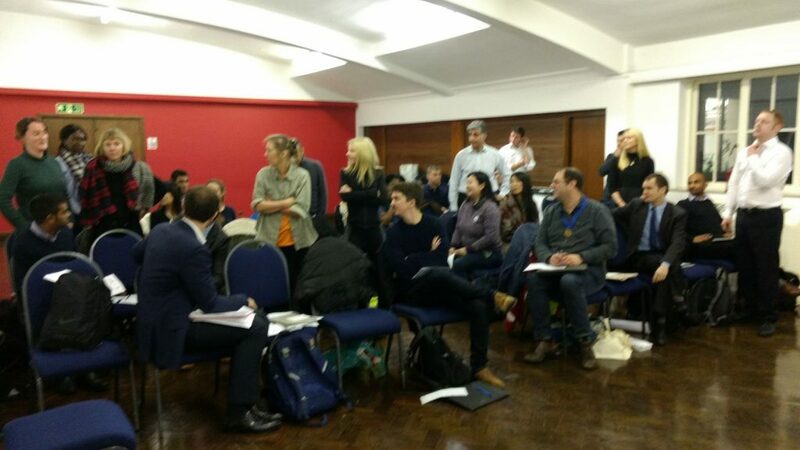 It featured an hour-long workshop from highly experienced champion speaker Chris Boden. 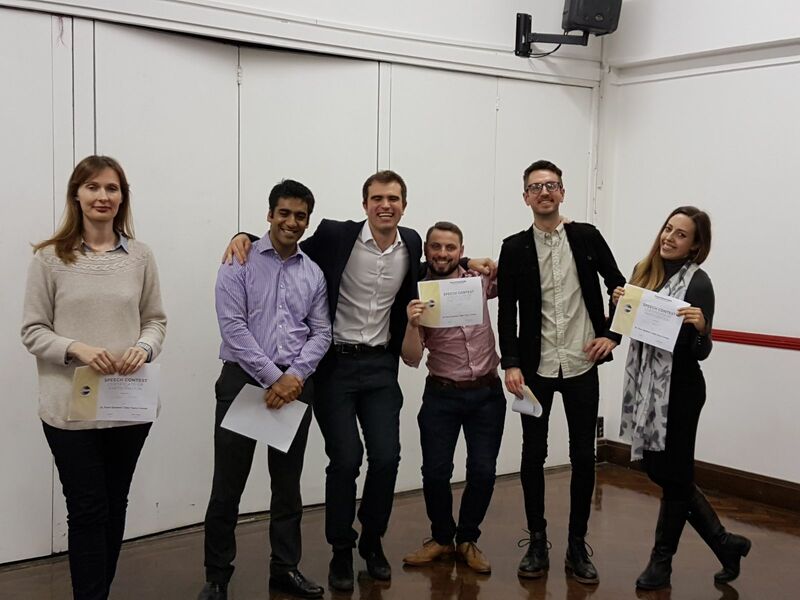 We were also able to fit in a speech and six spontaneous Table Topics! President Christopher Walker introduced the meeting, highlighting his longstanding relationship with Chris. We also discovered Chris Boden was a founding member of St. Paul’s Speakers. 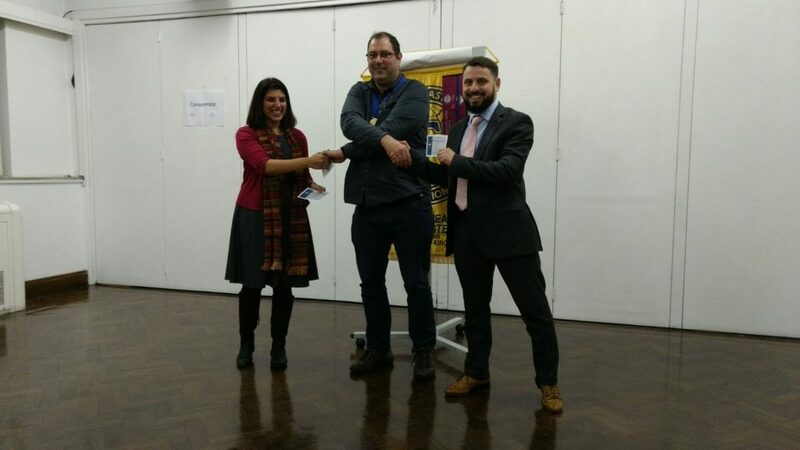 Toastmaster Lewis Kyriacou then presided over the proceedings.We were happy to host almost 30 guests, in addition to more than 25 regular members! Chris Boden – Champion speaker in each of the prepared speech, humorous speech, spontaneous speech and speech evaluation categories – enlightened us all his workshop entitles “Speeches that Matter.” While Chris’ tips for creating a master speech were surprisingly simple – have a great idea, practice hard, and get lucky – the functional tips behind them, such as writing down your ideas, recording your voice, injecting humour, telling stories, and limiting your word count.were invaluable.The engaging and practical workshop was very well received. 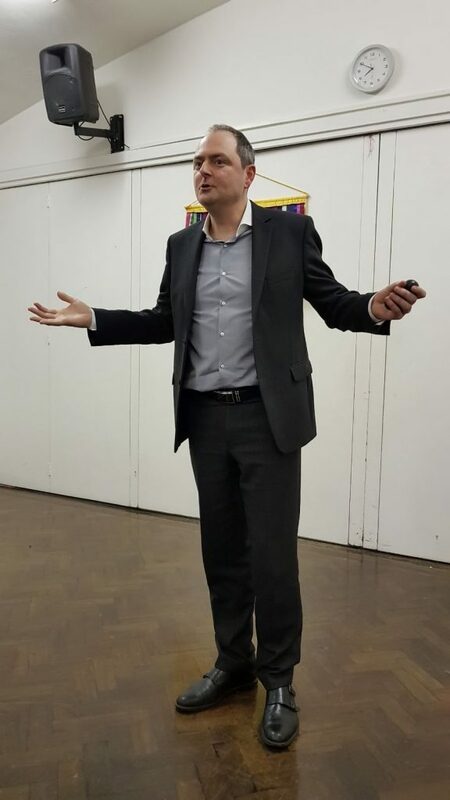 With the workshop modifying the typical schedule, we had just one speech this week – from Alexander Dziri, his fourth speech entitled “Make the Choice,” who was then expertly evaluated by Rakesh Patel. Since there was only one speech and evaluation, there were no awards given, but both speakers would have been worthy winners. Despite the other festivities, we also included six “Table Topics”. Club members had 1-2 minutes to show off their spontaneous speaking skills. Topics this week took the focus of “would you rather” – a choice between two options. Caroline Morgan took the top prize for describing her future career in ice Skating. Well done Caroline! January 24 meeting brought us Five New Speeches! 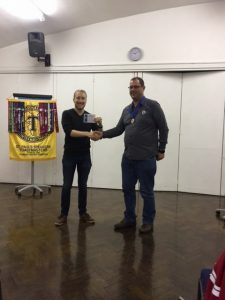 At our last meeting on January 24 we had FIVE great speeches from the Competent Communicator’s manual and enough time for a lively round of Table Topics. Christopher Walker kicked things off by doing the President’s Introduction. He was followed by Florian Bay acting as Toastmaster. Florian explained the schedule for the evening and outlined next steps. Robyn Brewer then came on stage to explain her role as the timekeeper. Finally, Sarah Hawkins discussed her role as Grammarian. This week we had the pleasure of listening to FIVE speeches including THREE CC#4 “How to Say It” speeches. 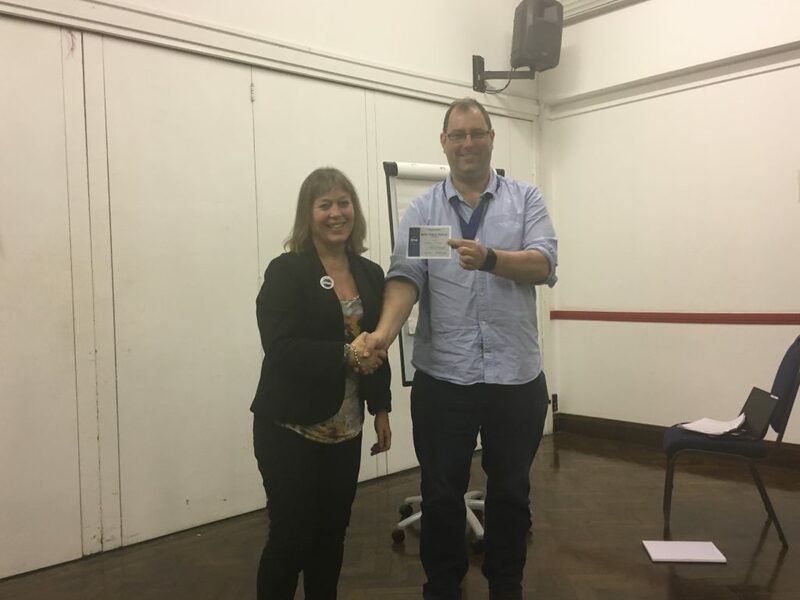 After five amazing speeches, we managed to squeeze in a short round of Table Topics for the members who had yet to speak and even a few guests! The steps for taking a speech from an idea to a finished piece. How to make your speech stand out from the crowd. How to delivery what you’ve prepared so you will be remembered. Chris Boden joined Toastmasters in 2007 to overcome his shyness and learn to speak with authority at work. He is a former President of Holborn Speakers and founder member of St Paul’s Speakers. Since 2011 he has made eight District finals, winning two of them (Evaluation 2011, International Speech 2014) and taking a trophy in five others. He is one of a small handful of people to have won a District trophy in all four contest disciplines. Happy New Year from St. Paul’s Speakers! Hello St. Paul’s Speakers!! At our last meeting on January 10 we had FIVE great speeches from the Competent Communicator’s manual and enough time for a lively round of TableTopics. Christopher Walker kicked things off by doing the President’s Introduction. He was followed by McVal Osborne acting as Toastmaster. McVal explained the schedule for the evening and outlined next steps. Katie Aird then came on stage to explain her role as the timekeeper. Finally, Jamie Hamer discussed his role as Grammarian. 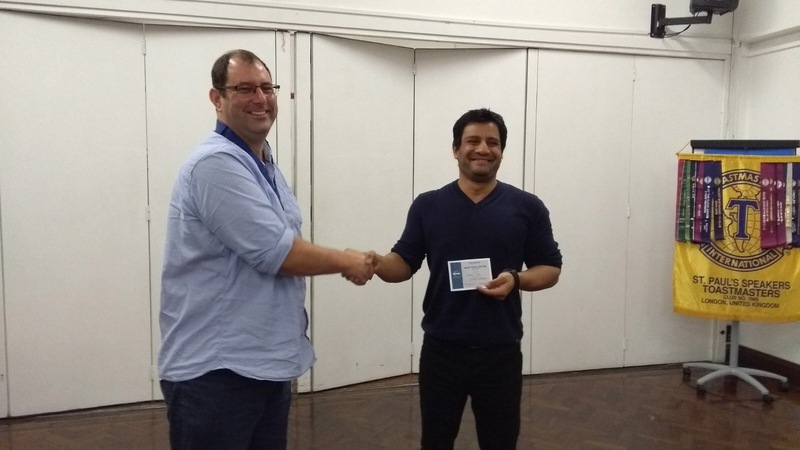 Ravi Kaskana, who gave us a great Icebreaker speech titled “Cricket”. Ashvin Heeramun, who spoke to us eloquently in an Icebreaker speech titled “Life is a Journey”. Daniel Morris, who gave a heartfelt Icebreaker and a great introduction in a speech titled “Chill Your Idols”. Rakesh Patel gave us a well structured and humorous second speech all about his morning commute, titled “Commuting ‘rages to riches'”. 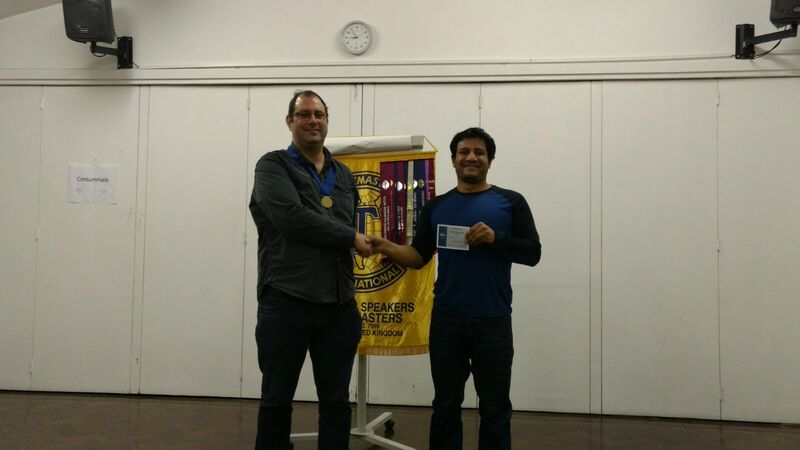 At our last regular meeting (November 22nd) we had two great speeches from the Competent Communicator’s manual. Christopher Walker kicked things off by doing the President’s Introduction. 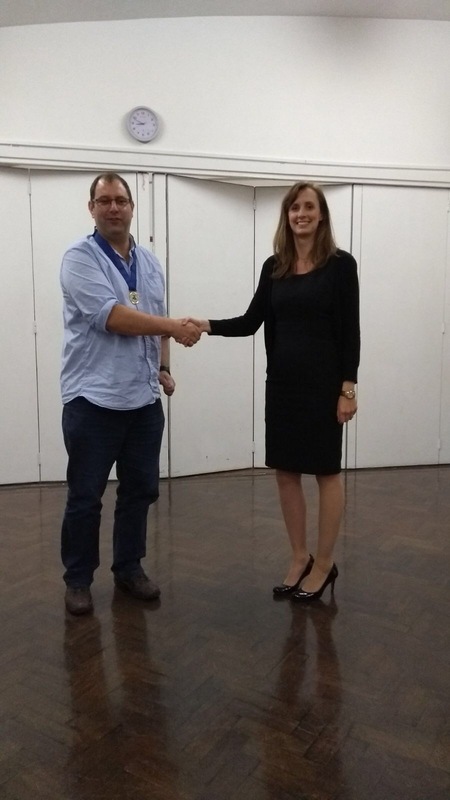 He was followed by Caroline Morgan as Toastmaster. Caroline explained the schedule for the evening and outlined next steps. Jamie Hamer then came on stage to explain his role as the timekeeper. Finally, Bashir Ali discussed his role as Grammarian. 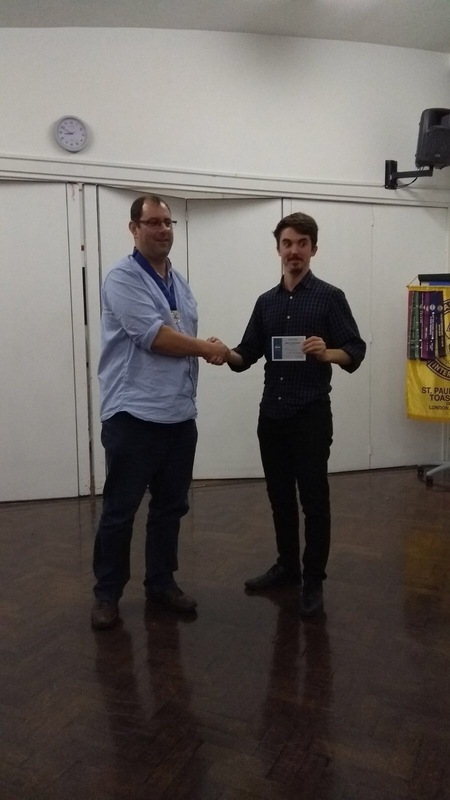 Anthony Grice kicked things off with a great second speech (Competent Communication Manual #2 – Organise Your Speech) titled “Volunteering – Go Sign Up!”. He did a fantastic job meeting the objectives, providing a strong opening and conclusion. Next up, Alan Leroux gave his third speech titled “Getting to the top”. 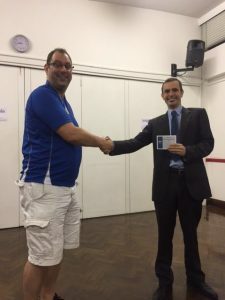 Alan’s speech (Competent Communication Manual #3 – Get to the Point) created strong structure for us to engage with and communicated his ideas clearly, using movement to enhance his ideas. After two amazing speeches, we had a great session of Table Topics led by Katie Aird. On the fifth Wednesday of the month we had an evaluation workshop. Catherine Casale delivered an excellent workshop on evaluations where I learned some new techniques. What was particularly pleasing was a couple of newer members saying how this had helped give them a framework for performing evaluations. Four Speeches and WOULD YOU RATHER? 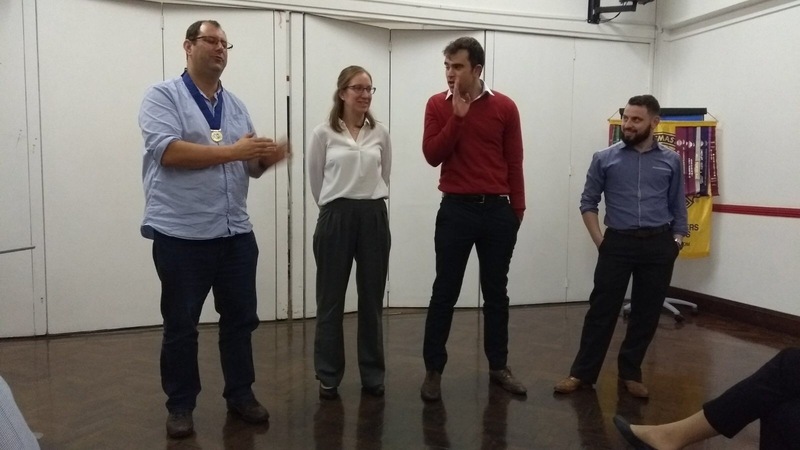 At our last meeting we had four amazing speeches from various parts of the Competent Communicator’s manual. Christopher Walker kicked things off by doing the President’s Introduction, followed by the introduction of Florian Bay as Toastmaster. Florian expertly explained the schedule for the evening and outlined next steps. Chris then came back on stage to explain his role as the timekeeper. 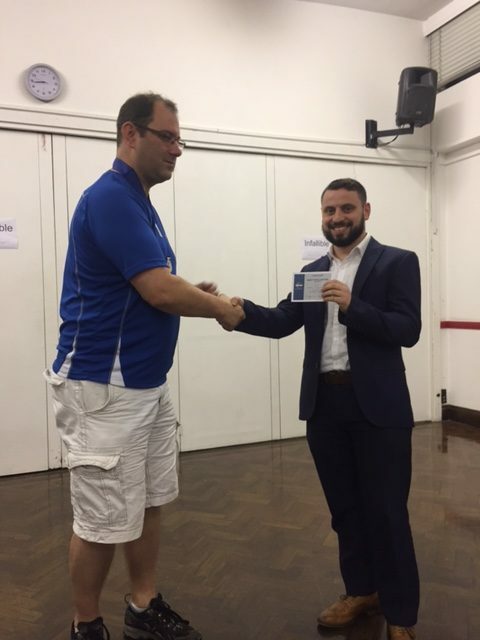 Lewis Kyriacou then discussed his role as Grammarian. 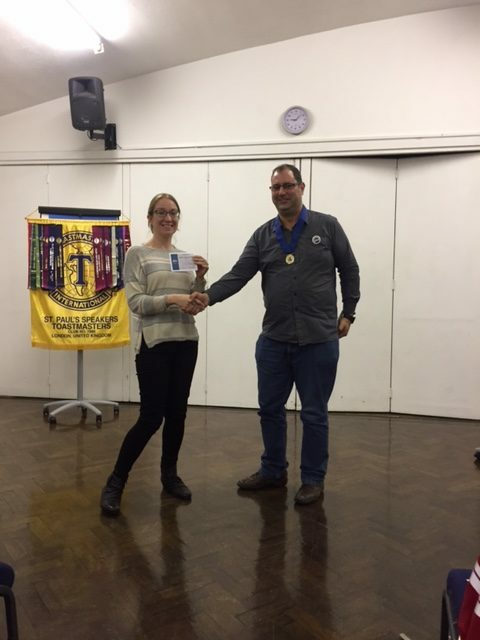 To start, Katie Aird kicked things off with a heartfelt and emotionally charged speech titled “My Journey to Toastmasters”. This speech was her first since joining the club (#1 Ice Breaker). She did a fantastic job meeting the objectives, introducing herself to the group and connecting with the audience while avoiding the use of notes. Next up, John Wooller told us the story of his journey to seeking gainful employment in the UK since moving back from Australia. 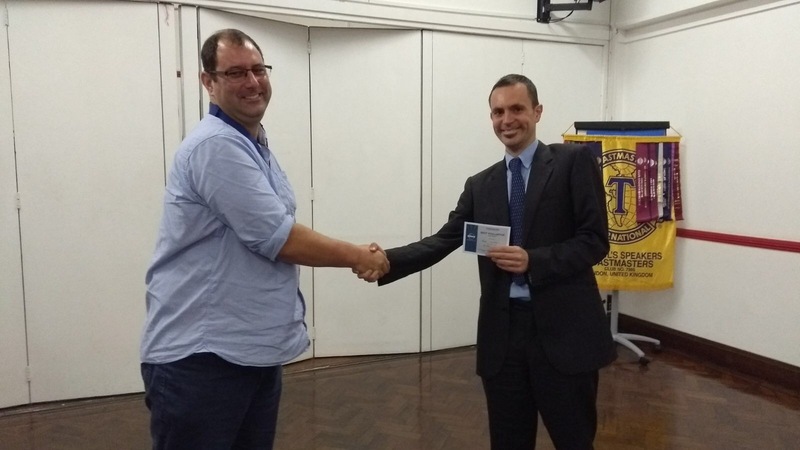 John’s speech was #2 from the Competent Communication Manual – Organise Your Speech. He created strong structure for us to engage with and communicated his ideas clearly, using movement to enhance his ideas. Third, McVal Osborne spoke to us about success and personal motivation with a speech titled “How a 30 minute habit can change your whole life”. McVal’s speech had a clear structure and provided a problem, strategy and solution to a project that all of us face: how to wake up early in the morning. Finally, the last speech came from Solmaz Jarchlou, giving us a fascinating look into brain function in a speech titled “Brain in Love”. The speech was #6 from the Competent Communication Manual – Vocal Variety. She did a fantastic job describing the topic and linking together examples to show how love is a universal experience for all of humanity. After four amazing speeches, we had a great session of Table Topics led by Jamie Hamer. For those of you who need a quick reminder, Table Topics are impromptu speeches. The purpose of the Table Topics section is to help members think on their feet. Each person speaks on a given subject for between one and two minutes. It also allows speaking opportunities for those who are not programmed for other roles on the Agenda. This evening’s theme was “Would You Rather?” – in which Jamie provided all of those who took part with a question that they needed to respond to off the cuff. 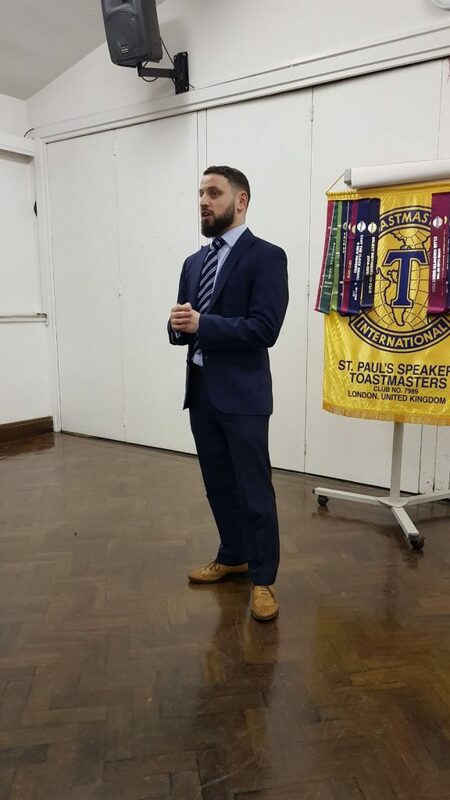 At our last meeting we had two amazing speeches from various parts of the Competent Communicator’s manual and one speech coming from an advanced manual. Christopher Walker kicked things off by doing the President’s Introduction, followed by the introduction of Catherine Able-Thomas as Toastmaster. Catherine expertly explained the schedule for the evening and outlined next steps. Nisha Kagdadia explained his role as the timekeeper, followed by Ravi Kaskana describing the role of Grammarian. To start, Bashir Ali kicked things off with a fascinating speech titled “On Money & Magic”. This speech was #2 in the Competent Communication Manual – Organise Your Speech. He did a great job meeting the objectives, creating a strong opening and conclusion and following a clear outline. Next up, Roxanna Zea followed Bashir and told us the fascinating story of her journey to the southernmost Royal Mail office, far from the prying eyes of civilization. Roxanna’s speak was #4 from the Competent Communication Manual – How to Say It. She created vivid images for us to engage with and communicated her ideas clearly, using rhetorical devices to enhance ideas. Finally, the last speech came from Christopher Walker, giving us a lesson in Orienteering. The speech was from the advanced manual “Speaking to Inform #3 – The Demonstration Talk”. He did a fantastic job showing us the ropes of orienteering and describing a complex topic clearly. After three wonderful speeches, we had a great session of Table Topics. For those of you who need a quick reminder, Table Topics are impromptu speeches. 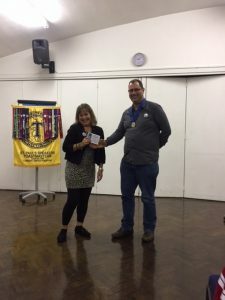 The purpose of the Table Topics section is to help members think on their feet and speak on a given subject for between one and two minutes. It also allows speaking opportunities for those who are not programmed for other roles on the Agenda. The Table Topics Master this evening was McVal Osborne, who doubled as our Sergeant at Arms and helped the new guests feel welcome by inviting them to take part in the impromptu speeches. 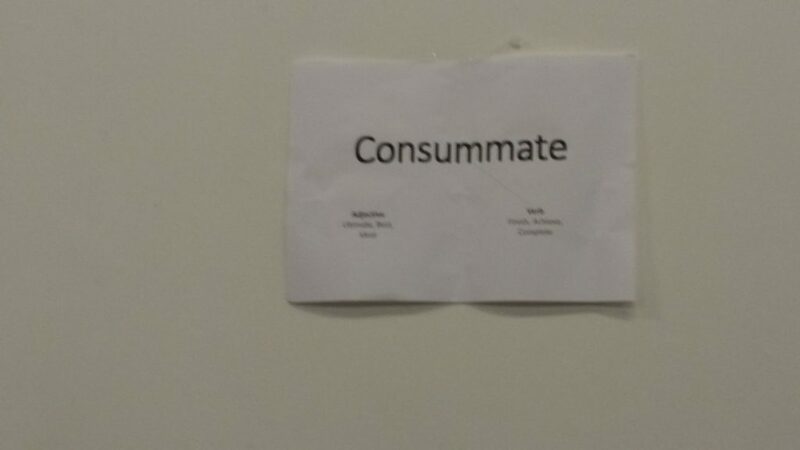 At our last meeting we had a speech marathon in which seven members presented speeches from various parts of the Competent Communicator’s manual. 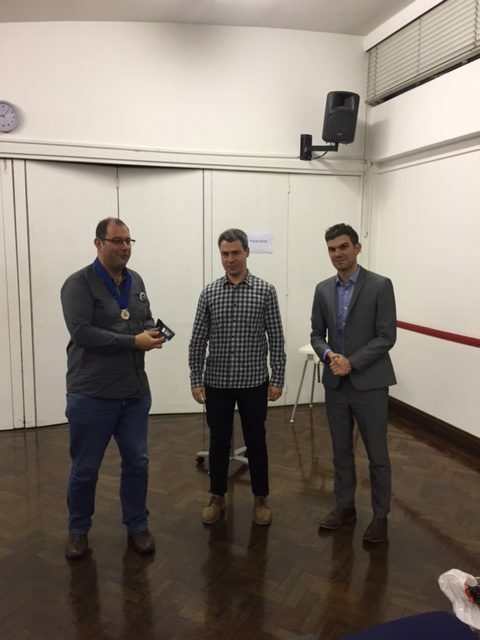 This was then followed by a fond farewell to one of our longest standing members – David Saer! Christopher Walker kicked things off by doing the President’s Introduction, followed by the introduction of Michael Holmes as Toastmaster. Michael expertly explained the schedule for the evening and outlined next steps. Ashvin Heeramun explained his role as the timekeeper, followed by Daniel Morris describing the role of Grammarian. First, Anthony Grice presented his Ice Breaker and spoke eloquently about some of the defining moments (and mistakes) in his life. 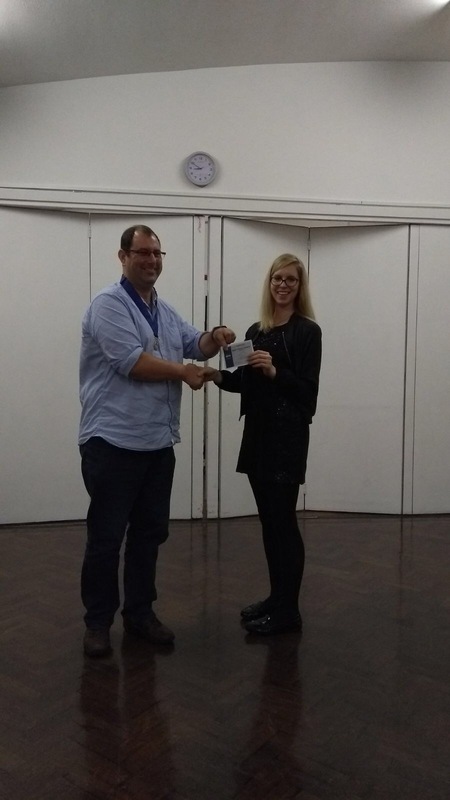 Second, John Wooller presented an engaging Ice Breaker, providing a host of humorous tips for how to live in the UK after moving from Australia. Fourth, Alexander Dziri spoke about meeting his heroes in a speech titled “The world or nothing”. 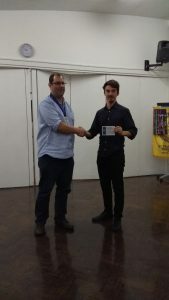 Fifth, Lewis Kyriacou spoke about his deep connection with American country music in a speech titled “This is Country Music”. Sixth, Shalini Leelananda presented her Vocal Variety speech (#6 in the Competent Communicator’s manual) in an engaging piece titled “Rollercoasters”. Finally, David Saer ended his Toastmaster career with a speech from the Humorous Speaking manual titled “The Show Must Go On”. Speech marathons are hard, but so are evaluations. After a marathon round from across the Competent Communicator manual, we also saw great leadership from members in the form of extremely well-thought out and constructive comments from the following evaluators: Solmaz Jarchlou, James Webb, Nisha Kagdadia, Sarah Beckwith, Stephen Bradely, Christopher Walker, and Caroline Morgan. A special shout-out goes to our Sergeant at Arms Catherine Able-Thomas, who greeted every new guest at the door and introduced each of them to the broader St. Paul’s Speakers group during the meeting. Thanks again, and looking forward to the next one! Florian opened with a thorough explanation of Toastmasters UK and `international and for those guests present a guide through the contests. He handed to the contest chair for the Humorous Contest, which was James who explicitly explained the rules and compered the 3 entrants. Lewis and Jamie and Sarah. The audience attentive and respectful of the judges most valued guests from other clubs who had to score relevant criteria and also allow time after each speech to add up their scores. Some valued helpers in the form of time keepers Catherine and Roxanna and Ballot Counters Katie and Nisha (her first meeting as member) to assist the chief judge Dave Longley who is our Area 33 Director. 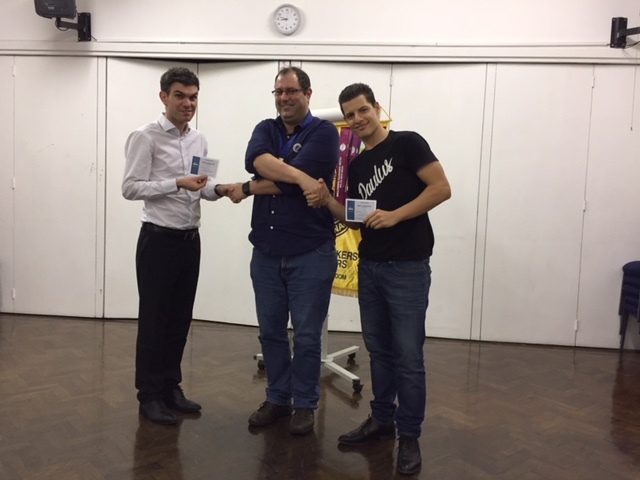 Whilst the Judges and Ballot Counters were doing their bit Contest Chair James interviewed the contestants in the form of a show asking them questions about their speeches and how they arrived at the ideas. 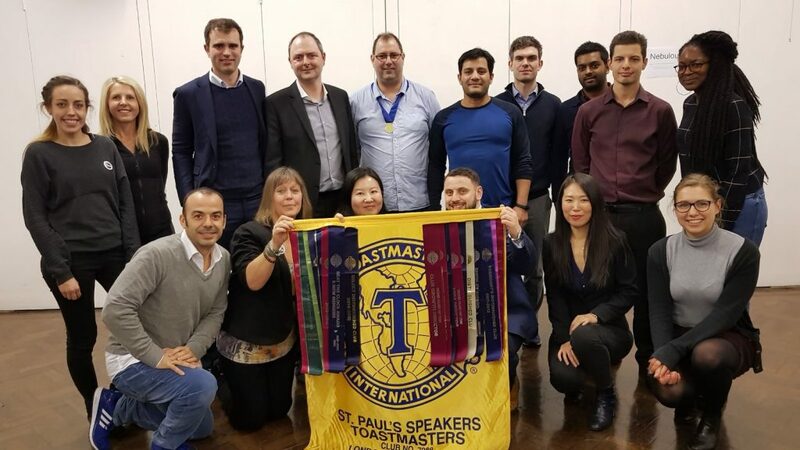 This was a pleasure to listen to as it is helpful for our many new members at St Paul’s Speakers to learn about what they indeed might do in their Toastmaster journey in this innovative way. There was indeed a table topic session given by one of the most valued and advanced speakers we have at St Paul’s Speakers, David who told us a scary story about scary places. 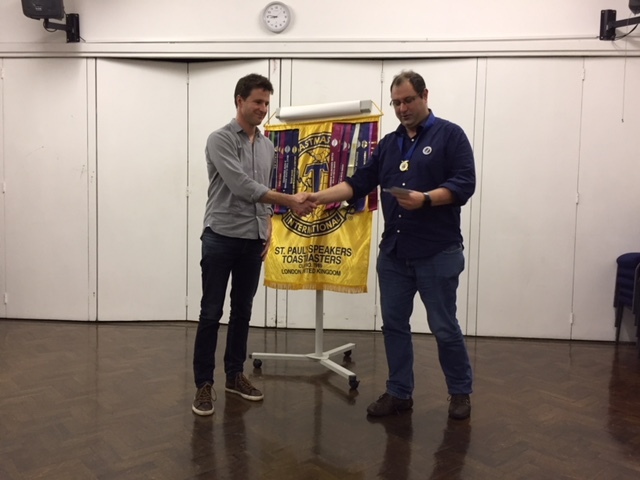 After the break then The Contest Chair Role was handed over to Michael another well-established experienced speaker of our club. Amazing how popular ‘Love island is’ as was mentioned by a number of the entrants. Again to fill in for the judges and ballot counters to count and verify the votes another round of table topics ensued with various challenging and thought provoking subjects. 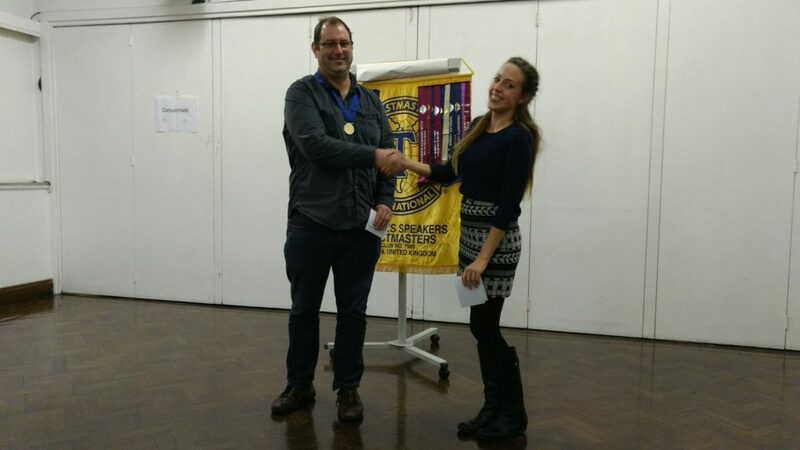 Sarah won the Humorous Contest – Well Done Sarah…. with the Divisional Contest being help on Saturday 14th October. Anyone can go along to support Sarah and Jamie in representing St Paul’s Speakers in the area competition. So watch out for a notice of the actual date. The speakers and the club will really appreciate your support. A contest doesn’t organise itself. 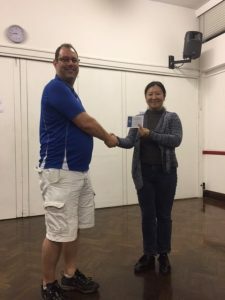 It needs organisation in the background to network with other clubs in order to invite judges and also to members can reciprocate to other clubs to be judges which all helps towards gaining points for the leadership award. This is a focus this year of our club.